Still here! Toilet and shower block absolutely lovely, can’t fault it . Beautiful site – James is a lovely lad. So comfortable, glad to have come here for a month! What a beautiful part of the country. Red Kites flying over us were stunning. Bingley Arms rub in walking distance serves great food. Emmerdale Studio Tour was very good! Thank you for a fab holiday. What a wonderful site for our first night in a new (first!) motorhome. Shower block unbelievable clean and modern. Excellent! Been caravanning for 47 years and only found a handful of sites to equal this one. Neat and tidy, clean and quiet. Fabulous and so near to home too! Will be back. A pleasure to be back again at the excellent site. Found thanks to Vantage Motorhomes in Leeds who suggest the site for Motorhomes bringing their vehicles for services and a first night stop after pitching up a new van. Will always be back when in the area. Lovely, immaculate site with the bonus of an exercise area of the dogs. The site is a credit to you – next time in Yorkshire we will visit again and certainly recommend to fellow club members. Experienced all weathers, from summer sun & warm nights to blustery winds and rain in abundance. Throughout all this the superb site facilities shone through, as did the atmosphere and the quality staff and hospitality. The area is well placed for retail therapy and historic houses in an excellent hidden countryside. Many thanks for one of our best short stays in over 45 years on caravanning! 5*! Start just for a weekend but will definitely be coming back. Fantastic facility, one of the best in the country; i’ve been doing camping for 10 years and this place blows everything out the water! Well done Yorkshire People! We spent two nights at this small site and found it to be welcoming, peaceful and well-kept. We arrived after dark and were shown to a level grass pitch at the top of the site. The toilet and shower block was immaculate and pleasantly warm, which is a real bonus in Mid-November. The utility room was clean and well-equipped, with lots of hot water. We don’t always use site facilities but as it was only a short distance to the block we made the most of the excellent ones on offer. Hanging baskets, pots and borders planted with winter pansies added to the overall impression that this site is well-tended and cared for all year round. We hope to return in summer to see how the experience compares. We didn’t explore the immediate vicinity but we can recommend the Duke of Wellington at East Keswick for a friendly welcome and a decent pint. I have never been on a site where the toilet facilities were anywhere near this quality. Well done and thank you. Back again (3rd visit this year!). Site immaculate as ever, A testament to James and his team. This site is brilliant; Winter, Summer, Rain or shine. What a delightful site, immaculately maintained and a toilet/shower block that is among the best I’ve enjoyed in 15 years of touring. Very helpful staff, will definitely revisit. A Model site that other can only aspire to! Will definitely use again. One of the nicest site we have stayed on in over 20 years on caravanning. Congratulations to all the staff who make this site so clean, well presented and a pleasure to stay in. Much appreciated! Beautiful site well done, keep it up! Shower block first class! We will be back and pass on this site to all our friends. Beautiful site. Helpful owner and excellent facilities. Very handy for Leeds, we used bus on A58 having parked our van in the Bingley Arms – no problems. Very well kept and clean facilities. Many thanks for making our first night in our new Vantage van easy and enjoyable. Fastnastic Site. RHS STandard and the toilets and showers are first class. A very well done to all concerned. An excellent site for us to stay on when visiting Vantage Motorhomes in Leeds. Good facilities which are well maintained and grass and plants are very well looked after. Keep up the good work! Absolutely beautiful site and showers are wonderful! We come to Yorkshire a lot but have never found this jewel before. Will defo be back. This is the 10th site we have stayed on in the last month, and by far the best showers! Thanks. Lovely, clean quiet and well maintained site. Best toilets by far, love the personal touch. Keep up the good work! This site is immaculate. Showers and toilets the best so far. Lovely quiet site, will come again. Good clean tidy site, good location and friendly staff. Could provide socket in toilet/wash room for own hairdryer or hair straighteners? Don’t expect to have to pay 20p as no socket. Excellent facilities. Very friendly owner/management/ We will return – despite the weather! Beautifully kept site. Excellent shower/toilets. All in all one of our favourite sites! We’ll be back..
Lovely site with excellent facilities at the right price! We will definitely come again. Very clean, tidy, quiet, helpful friendly staff. Excellent. Thanks!! This must be our 7th year of coming. Good as usual. Clean and today. Keep it up and see you next year. night in our new Vantage Med. Thank you for making us welcome and for providing such a beautiful site with great facilities; perfect! And you arranged glorious weather too! This is our first outing in our caravan, and I can say this is a beautiful site, and friendly owners. Such clean and gorgeous WC’s. I would stay again and recommend this site! Keep up the good work, you have a wonderful site and lovely grounds which are kept lovely! We have stopped on this site on numerous occasions and we can not fault anything! Lovely family and always helpful and got a smile. The people on here are also very friendly which makes a different. Love it here and will keep coming back. The toilet and shower block are lovely and clean. The showers are great and you can make them as hot or cold as you like. The staff are so helpful. Having a great stay! I’ve just spent around 16 days at this site it was super. Quiet, clean and great sanitary installation. I received a very warm welcome from Rod, who showed me to my pitch. In general a great reception. The whole Moor Lodge team, Darcy, James and Rod were fantastic throughout my stay there and nothing was too much trouble for them. Will definitely return for sure and can recommend this site. 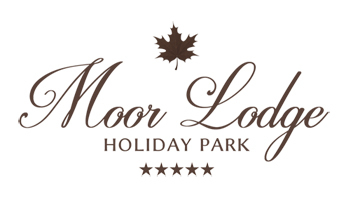 We booked Moor Lodge at short notice for a 1 night stay for the Leeds festival. We were keen to stay somewhere nearby but away from the hustle and bustle. This was just the place. Primarily a static caravan park but there were plenty of touring pitches and a number of camper vans and motor homes on site during the weekend. We were greeted at reception by a helpful chap who gave us the necessary info regarding the site and who then personally showed us to our pitch, close to the shower block which was excellent. Clean and very modern with excellent showers! Our pitch was great and the touring are has a number of picnic tables dotted around, savings us having to unpack our own table and chairs! Set away from the main roads this is a lovely location, ideal for walking and cycling. There was a lovely looking country pub within walking distance and we were told a small local shop was also nearby, although it is only a short drive into Collingham and Wetherby for a wider choice of pubs and shops. We would be pleased to return should we be in the area in future. Arrived at this site, extremely friendly owner, who personally guided us to a very spacious pitch which was on a superbly kept ground. We were pitched near the most stunning toilet block I’ve ever seen, they were reminiscent of a hotel toilet, Baylis and Harding soap with rolled towels and floral arrangements by the sinks, also pictures on the walls and ornaments on the window sill. The shower cubicles were well thought out and had glass shower doors which stopped your clothing getting damp as in many shower cubicles. There was flowers planted round the building and everything was spotlessly clean. We only stayed the one night but would gladly have stayed longer. There was a massive enclosed field which runs the length of the park where dogs can be exercised freely. Very quiet site, with everything you could wish for. The only draw back if any was that it was not the cheapest of sites, but then you get what you pay for, and it was well worth the money. Some pitches were on slightly sloping ground, but with a caravan we were shown to a level pitch with electric hook up. What a fantastic site in a peaceful location, situated just off the A58 Wetherby to Leeds road the site is easily accessible. Upon arrival we were greeted and guided to where our pitch was. The outskirts of the park is lines with residential type static caravans, the centre are been reserved for tourers and camper vans. The field is fairly level and the grass is cut short and well maintained, in the centre of the pitches is a toilet/shower block, male one side, female the other. Doors are key coded. Interior is second to none, cubicles are spotless and very modern, electric power showers with good water pressure. Towels and toiletries are supplied if required. If you like to sit and relax then you wont find a better site, watch the rabbits, be amused at the squirrels (tend to stay next to statics that have bird feeders) and watch the Red Kites soaring above. I received a warm welcome from James to his park, and it came as no surprise to find it looking pristine. Much improvement has taken place here, with a new Wi-fi system installed, new signage and a new electronic exit barrier in place. Surrounded by very modern static holiday homes, the 12-pitch touring area has beautifully mown grasses cut in manicured lines. The toilet/shower facilities are ultra-modern and spotlessly clean, with an interior to die for – rolled up colour-co-ordinated towels, pictures, flowers and even Baylis and Harding soaps for customers use. All the flowerbeds had already been planted out around the site, and the hedges were well trimmed. If you are looking for an adult only site in the Leeds area, then Moor Lodge Caravan Park could be just the place for you. Situated 7 miles north of Leeds city centre and easily accessible from the ring road and the A58, it is a peaceful and well-presented park with just 12 touring pitches laid out on a central grassed area on either side of a beautifully clean toilet and shower block, which has rightly won the Loo of the Year Award. Although unmarked, the pitches are spacious and you are shown to them by enthusiastic, helpful and courteous staff, or the equally helpful owner. You may require a long hook-up cable depending on where you choose. Static caravans are sited around the perimeter. The site is virtually surrounded by countryside and golf courses, and the owner, Rod Brown, provided us with a hand-drawn map of the area, which proved quite useful. Local walks for our dogs were easy to find and follow, as were supermarkets, pubs/restaurants and our favourite for the first night, afish and chip shop! We visited Harewood House, Wetherby, Harrogate, Tadcaster, Knaresborough and relatives near York – all within easy reach – as well as more local places like Roundhay Park. The river Wharfe provided excellent dog walks. On the wall in the toilets was a clip board asking for comments, and when we were there at Easter someone had suggested a hair dryer would be welcome. Sure enough, when we returned about a month later, there was a hairdryer installed! With such attention to detail, like the colour co-ordinated hand towels, soap, even candles and deodorant, this is a pristine site. There is also a laundry area, and the site is open all year. and the people are fantastic. We had a problem with our awning and between Richard and James they sorted it for us and we could not have been more grateful. We will definitely be back to this tranquil site to spend many more pleasant weekends. Peaceful weekend away. The toilets were beautifully clean and tidy, what a great park! A Lovely peaceful site, in a rural location within easy driving reach of North Yorkshire and the surrounding areas. Immaculate toilet block, Loo of the Year award well deserved!Very friendly owner. Highly Recommended for a quiet peaceful retreat! Not much around the site, nearest pub a good 10 minute walk but uphill on way back! The touring pitches are in the middle of the site surrounded by the statics, hardly anyone was in the statics when we visited on a bank holiday weekend, which was great! Thank you for a wonderful stay. The park was kept very nice and you were most helpful and friendly. A very relaxing stay. Just spent two nights here – very convenient for Leeds city centre. Owner was very helpful and flexible with our arrival time. We didn’t arrive til 10pm, but he arranged a parking spot with hookup for that night. Facilities were very clean. Very quiet, relaxing stay. The most noise came from the crows in the nearby trees each morning and evening. Well recommended!